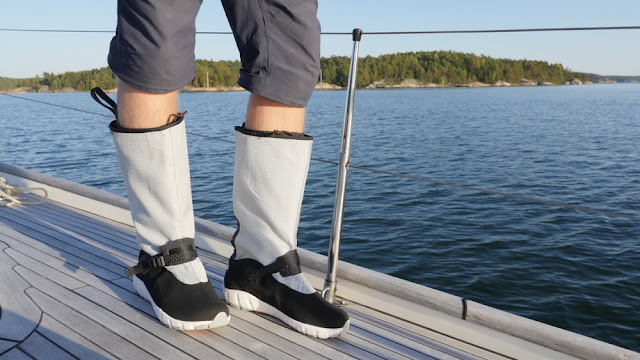 I have been looking for new sailing boots for some time now and I recently came across a new brand for me: that is Lizard Footwear from Italy. 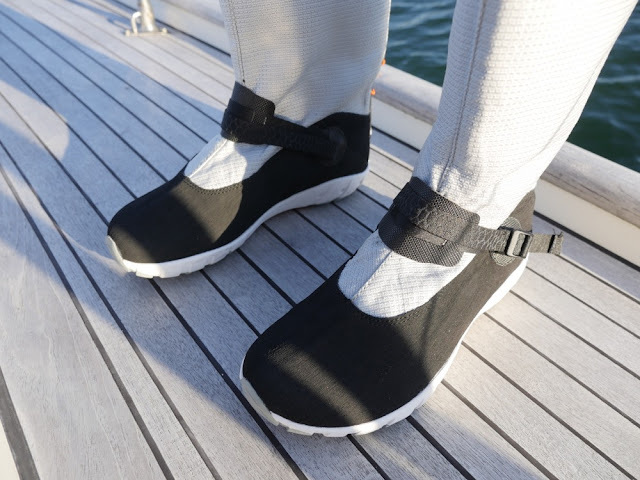 The boots (Lizard Spin) arrived in late-September and I was happy to be able to test them during the Autumn in three different sailing trips and in three totally different weather conditions. 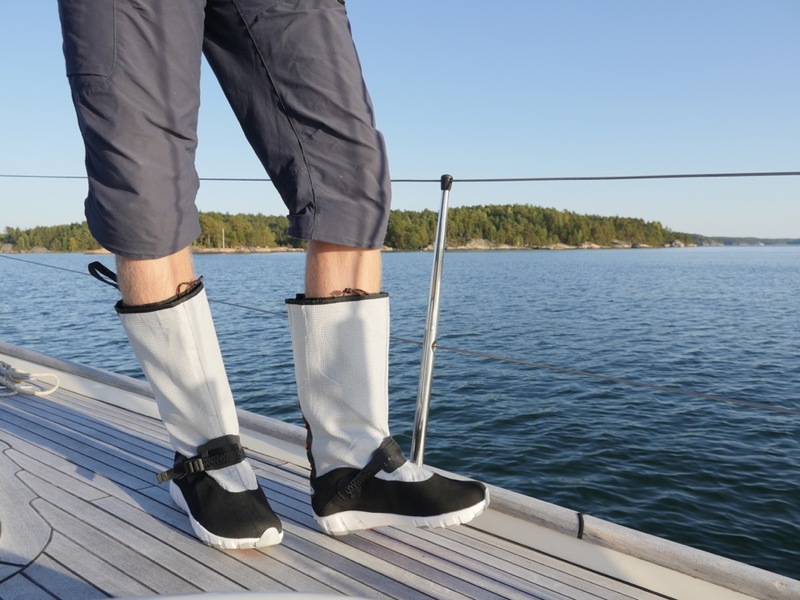 Overall, I have been very pleased with Lizard Spin sailing boots as they are so versatile. My old traditional rubber boots were mainly used in rainy conditions in order to keep one's feet dry, but you did not really want to use those rubber boots any more than you had to. The opposite is true for Spin deck boots, which are extremely light to wear, so that they feel almost the same as wearing the normal sailing shoes. 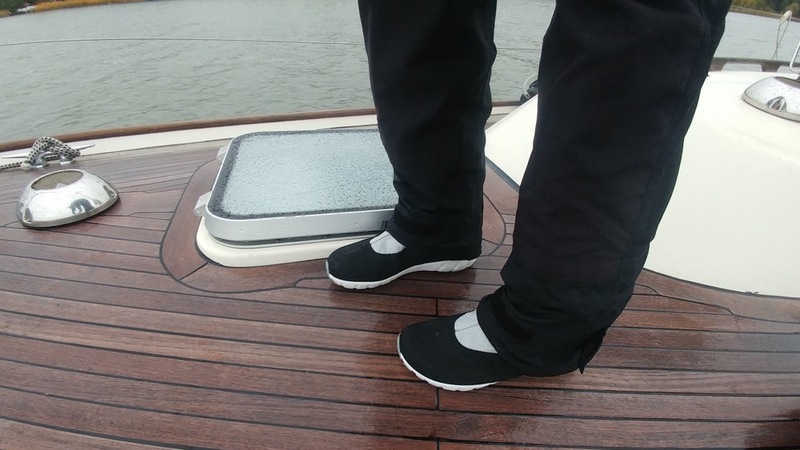 Furthermore, the long sleeves help you to keep your feet warm compared to the traditional sailing shoes. On the late September, the weather was still summer-like as the temperature climbed around 20 degrees. On mid-October, we had more traditional Autumn weather with constant rain. On November on the other hand, the temperature was close to zero degrees so I was able to test how well the boots perform in cold weather conditions. 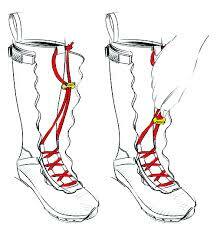 Perhaps the best thing about the Spin boots is their breathability. They are very comfortable to wear; I used the boots through the day in relatively warm September weather without noticing any problem with feet getting sweaty. On the other hand, in November I used the boots with my a bit thicker skiing socks which were just enough to keep my feet warm and dry in temperature close to zero degrees. 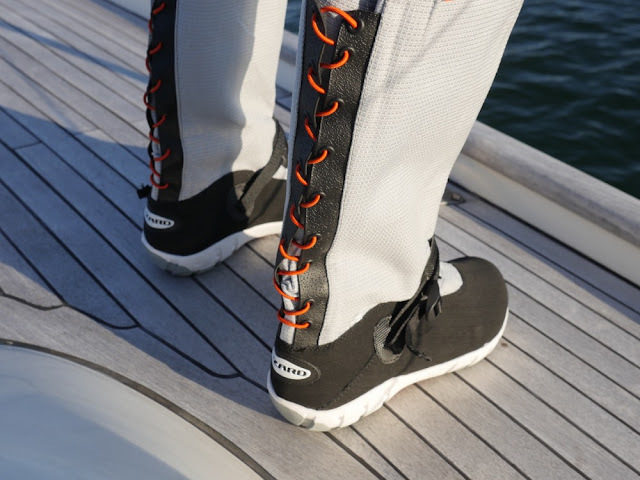 The boots are actually adjustable (thanks to the cleaver tightening system) which allows you to wear thin or thick socks so the boots work well both in colder and warmer conditions. During the rainy test day in October, the boots worked as they should (i.e. kept my feets dry) and I did not notice any problem with the watertightness. However, I realize that there is 'rain' and then there is rain. So based on this fairly limited test, I cannot comment too much about their waterproofness in really heavy weather. In short, these boots are definitely among the best sailing footwear that I have ever tried and can't wait to be able to use them more during the next season. This blog post was made in collaboration with Lizard Footwear. The second test day was in more traditional Autumn conditions. Pretty fancy boots there! A good choice for your climate I'd say. My winters are so mild, I simply wear light athletic running shoes when sailing. They keep me from hitting my toes and provide enough warmth if I'm in colder weather with outdoor jacket and long water repelling pants. This pair of shoes is very cool. Really useful. Lizard Footwear is a very beautiful shoe.